Override method actually override the virtual method. When a method of a base class is overridden in a derived class (subclass), the version defined in the derived class is used. This indicates for the compiler to use the last defined implementation of a method i.e. override the last implented method. if you want to prevent anymore overridden from inherited class then use sealed keyword along with override. It actually hides the base class method. The new modifier instructs the compiler to use your implementation instead of the base class implementation. 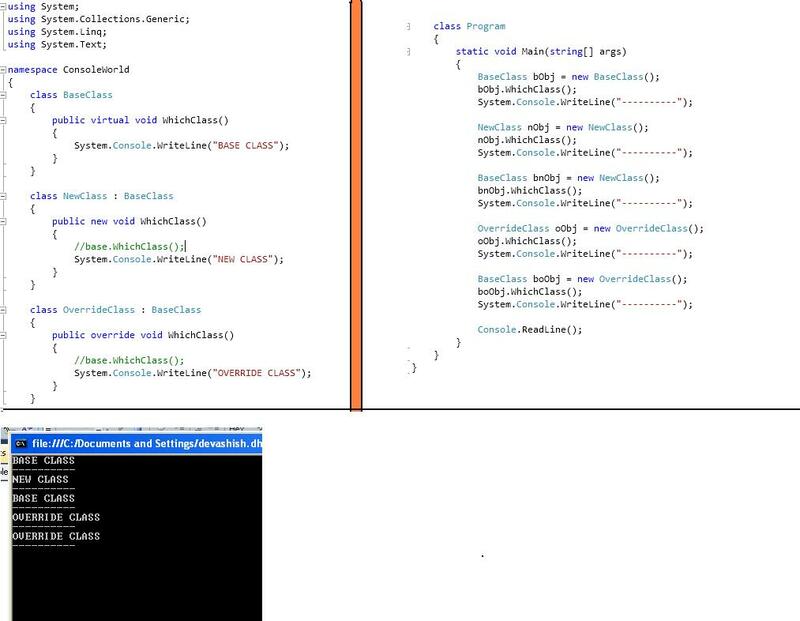 Any code that is not referencing your class but the base class will use the base class implementation. new keyword doesn’t allow the method to be more overridden. some good factors here. Any way keep up wrinting.